If you’d have told me in 2000 that North Carolina was going to be a competitive state, I would have laughed at you. But, going into Election Day, Democrat Hillary Clinton is only slightly losing in North Carolina. At the time of writing, FiveThirtyEight gives Clinton 48.5 percent odds of winning the state. Just a few days earlier, Clinton was pegged to win with two-to-one odds, so these numbers aren't as hopeful as they once were for the Democrats. Still, North Carolina could go either way Tuesday. With their polls closing earlier in the evening at 7:30pm EST on election night, North Carolina may be an early sign of a Clinton tidal wave — or a Donald Trump resurgence. Before 2008, North Carolina had been firmly in the Republican column. However, Barack Obama shook it loose, winning the state in his first presidential campaign by just over 14,000 votes. Mitt Romney took it back for the GOP in 2012, but this cycle it looks like North Carolina once again has blue potential. There are a number of factors contributing to the changes in political slant of the Tar Heel State. In a recent poll by the New York Times and Siena College, Republican support among white voters with a college degree in North Carolina had declined sharply: Clinton is winning this group by two points, 42-40 (contrasted with Romney who won the same group by over 20 points in 2012). But it’s not purely a Trump turn-off effect — the makeup of the state is shifting, too. North Carolina is becoming increasingly urbanized, with both citizens within the state relocating, as well as people moving in from out of state to the urban centers of Charlotte and Raleigh-Durham. Still, Trump’s unpopularity can’t be overlooked: voter registrations among non-white and younger voters has surged in the final stage of the election. Trump’s unpopularity can be measured in other ways as well: even as he struggles to take command of the state, two other statewide races are generally more favorable to the Republicans. GOP Gov. Pat McCrory is defending his seat from Roy Cooper in a toss-up race. Meanwhile, Republican Sen. Richard Burr is facing a challenge from Democrat Deborah Ross, with Burr having a slight lead in the RealClearPolitics average. Both candidates have been hitting the state hard, hoping to win the state’s 15 electoral votes — for Trump, it’s a must-win (along with all the other swing states); for Clinton, it closes off most paths to victory for her opponent. 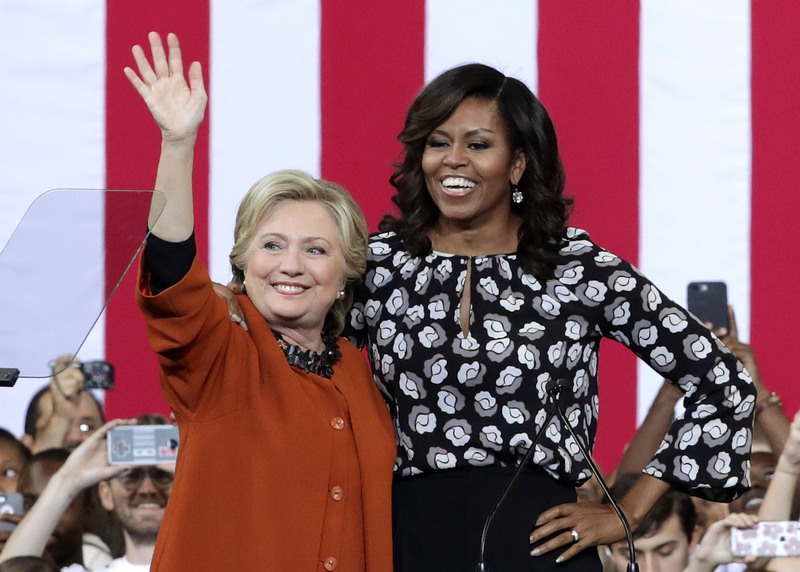 The Clinton campaign, in particular, has turned their most effective weapon on North Carolina, dispatching Michelle Obama to the state to appear jointly with Clinton. Will the star-power secure the state for Clinton? We'll find out on Nov. 8.